RULEVILLE – A cancer center named for noted civil rights activist Fannie Lou Hamer, has secured a site for its new headquarters and they have launched a campaign to raise the $5.5 million needed for the new state-of-the-art facility. This rendering of the new Fannie Lou Hamer Cancer Center in Ruleville was designed by architect Thomas Stewart of Architectonics in Starkville. The foundation has already received international help, including donations from Japan and Germany. 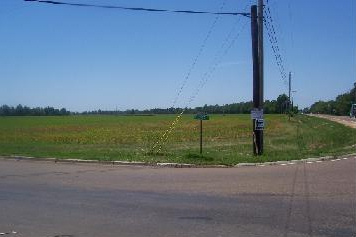 The Fannie Lou Hamer Cancer Foundation will move to Miss. Highway 8 and Floyce Street in Ruleville. Renderings for the center have been created by architect Thomas Stewart of Architectonics in Starkville. 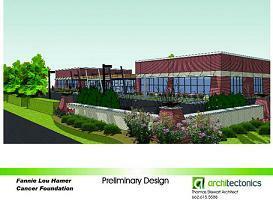 The building will also house a museum in honor of Hamer. The civil rights activist hailed from Ruleville and was internationally known as an organizer for the Mississippi Freedom Democratic Party. She died from stage four, untreated breast cancer on March 14, 1977. The foundation in her honor was established in 2005 and is already a benefit to the Delta. “One thing I do see that the cancer center is already doing with the people who already work with the cancer foundation is identifying women who have not had breast screenings,” said White-Johnson. In 2012, the Fannie Lou Hamer Cancer Foundation identified more than 450 women who hadn’t had a mammogram in more than two years or had never had one. Among other things, the foundation helps with money for transportation and medical expenses, and its reach extends far.